The S&P 500 saw a third monthly loss for this year, closing 1.4% lower in September. Energy stocks experienced the steepest fall together with other sectors such as industrial, consumer discretion and tech which are all sensitive to the economic cycle. There wasn’t a distinctive reason for the broader market fall, but stocks that were hit tend to be more exposed to higher interest rate. 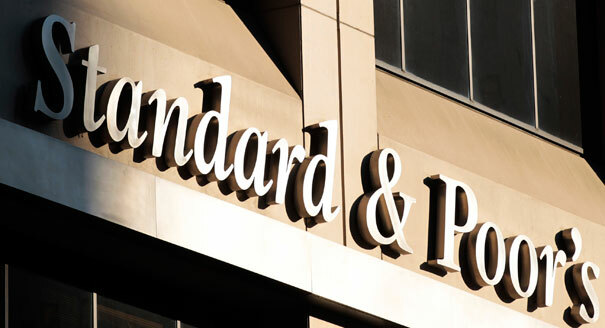 It has been a general view that the recent strong economic performance in the US may spur the Fed to increase interest rates sooner than expected, although the Fed had maintained its assurance that interest rates will remain low for a “considerable time” after the asset purchase ceases. A larger increase in exports and business investment had contributed to the US economic growth, growing at the fastest rate since 2011 for the period between April and June. The economic growth was revised upwards to an annual rate of 4.6% and growth in consumer spending remained unchanged from its previous estimate of 2.5%. In Europe, equity markets advanced slightly following speculation on the European Central Bank’s QE programme. The FTSE World Europe ex UK closed 1% higher for the month of September. The pharmaceutical sector had the biggest gains together with utilities and financial stocks and the consumer goods and services were the biggest losers. On broader economic perspective, data out of Europe was mixed, indicating a slowdown in the European economy. The Germany economy is reeling from weakness both within the Euro area, including France (a key trading partner), and the fallout from the crisis in Ukraine which prompted sanctions to be imposed on Russia, an important customer for heavy German goods. Business expectation surveys declined in September and the Purchasing Manufacturing Managers’ Index (PMI) fell below 50 indicating a contraction. To spur growth and combat low inflation, the ECB reduced its rates in main refinancing, deposit facility and marginal lending facility by 10 basis points respectively. The central bank also announced a new program to buy asset-backed securities and covered bonds, while implementing the first tranche of its Targeted Long-Term Refinancing Operations package (TLTROs) which provides cheap financing to banks. A little confidence was restored into the European markets following moves being taken by the ECB and its commitment to resuscitate growth in the European region. This in return saw the euro currency falling to a two-year low against the US Dollar. Following speculation and hype regarding the Scottish independence from the UK, the FTSE All-Share index closed 2.8% lower for the month of September. An analysis of the month’s primary market sector price movements shows that the personal goods sector was amongst the better performers, whereas the food & drug retailers were amongst the worst. On a macroeconomic perspective, the UK continued to show good growth although there were a few disappointing reports. Q2 GDP growth estimate was revised up 0.9% compared to 0.8% as previously estimated by the Office of National Statistics. Industrial production, which is a factor influencing the GDP, was reported to have risen in July by 0.5%, which is above the median growth of 0.3%. This would mean the annual growth in industrial production is at 1.7% compared to the 1.2% which was recorded in June. Although the economy has been experiencing better growth, inflation for August remained low at 1.5% compared to 1.6% for the previous month. An update on the public finances for the UK is reported to have worsened, as the Public Sector Net Debt rose over the month, and it is now about 6% higher than last year. In the minutes released by the Bank of England Monetary Policy Committee, it indicated that “the downside risks to UK growth in the medium term had probably increased” based on all the recent data and issues. Asian equity markets declined sharply in September as increased volatility in currency markets and a correction in commodity prices led to a sell-off in riskier assets. Further monetary easing by the European Central Bank (ECB) and strengthening conviction that the US will raise interest rates sooner than expected were the primary drivers of US Dollar strength, while some weak economic data from China also weighed on equity markets. Chinese economic data for August reported a decreasing momentum in industrial production growth, retail sales and fixed asset investment which were all weaker than expected. Preliminary readings of HSBC’s manufacturing survey for September however showed that activity remained steady at subdued levels, which eased fears that growth would continue slowing in the Chinese economy. Political protests in Hong Kong led to further volatility in the markets. In Japan, the yen experienced a significant depreciation against the US dollar which was beneficial to large exporters, such as transportation equipment, machinery and electric appliances sectors, where all had solid performance. Though there seemed to be poor visibility on the domestic side of things, Japanese equities made strong gains in September. Consumer spending and consumer confidence in Japan both fell in August. A drop in the service sector overlooked a slight improvement in the manufacturing sector. An initial estimate in industrial production also came out weaker than what was expected. However weaker economic data has strengthened the speculation that there will more be monetary and fiscal policy stimulus. This caused the depreciation of the yen, as it would mean higher profits for the exporters, which led equity markets higher. In emerging markets, equities fell sharply due to the strengthening of the US Dollar, disappointing economic data from China, and geopolitical issues. 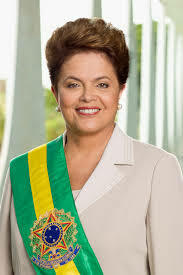 Latin America was the worst performing region, with Brazilian stocks falling heavily as President Dilma Rousseff gained momentum in opinion polls ahead of October’s election. A few emerging countries that had posted positive gains for the month were Egypt, UAE and Czech Republic. Consumer discretion and energy sectors fell the most but all other sectors in the emerging markets, with the exception of healthcare, also fell. In the fixed interest sector, Investment Grade (IG) corporate bonds outperformed government markets. According to data from Merrill Lynch European, IG corporate bonds returned 0.19% while Bunds lost -0.16% with European IG credit spreads unchanged over the month. However, reflective of the general risk adverse mood, European High Yield lost 0.9%. In the UK gilts lost 0.67% while sterling IG corporates returned -0.59%.